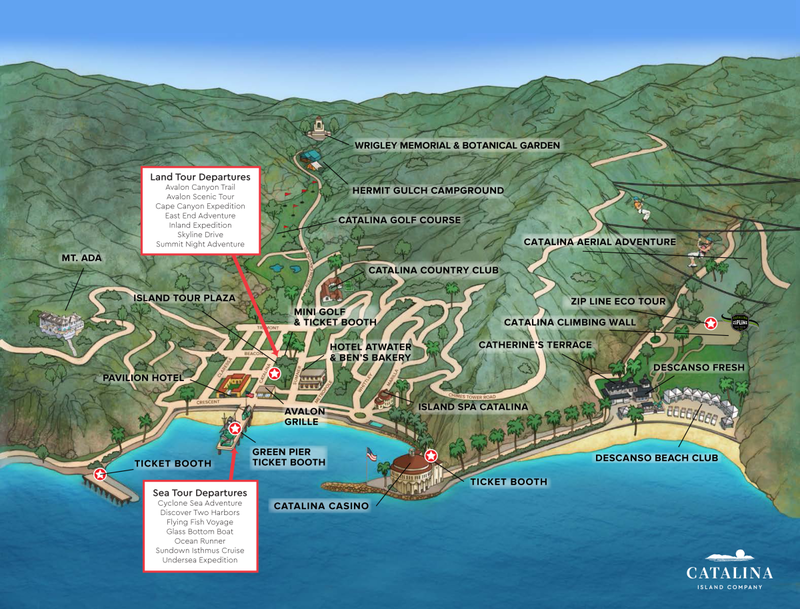 Map of Avalon, including Descanso Beach, Tour Plaza, Avalon streets, and other points of interest. 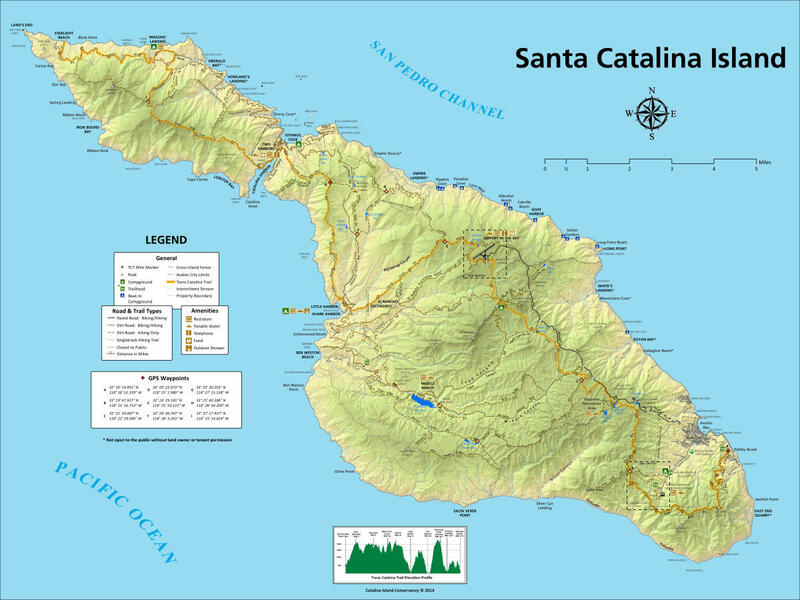 Click here for a larger, downloadable version of the Catalina Island Map. 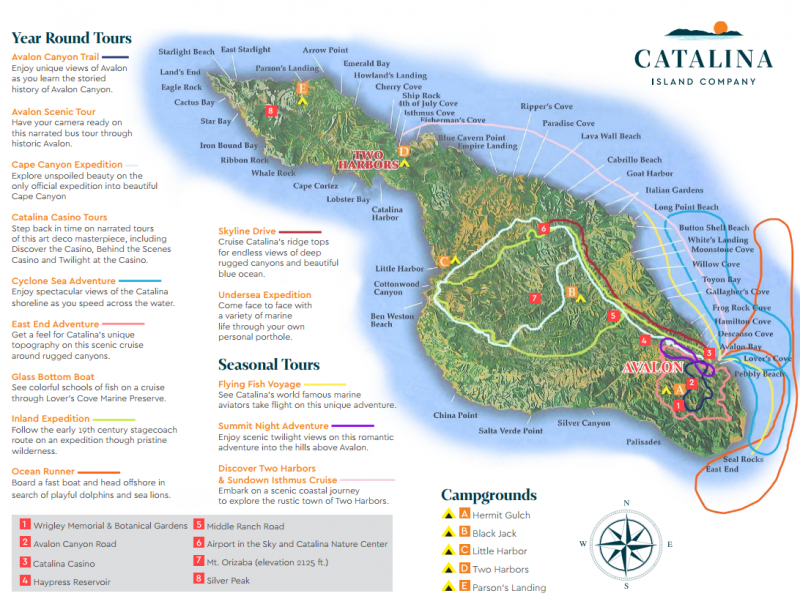 Includes coves, campgrounds, attractions, points of interest, tour routes and more. Click here for a larger, downloadable version. 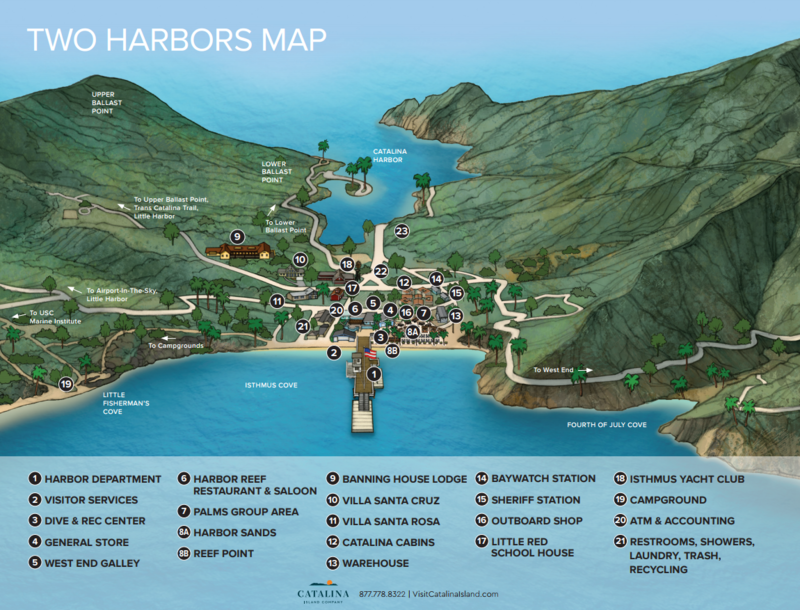 View a Two Harbors, CA map of coves, campgrounds, harbors and the village. Includes coves, campgrounds, hiking & biking trails and more. Courtesy of Catalina Island Conservancy. Click here for a larger, downloadable version of the map.